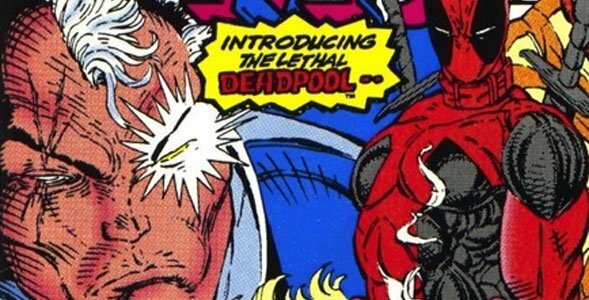 The comic book histories of Deadpool and Cable are very much interwoven. After all, they not only shared a title that lasted for 50 issues and have appeared in multiple miniseries together since, but the Merc With The Mouth even debuted in New Mutants #98 with the mission of assassinating the bionic arm-sporting time-traveler. That being said, introducing them together in the first Deadpool movie probably would have been a major mistake – and this is a sentiment that’s shared by Rob Liefeld, the creator of both characters, who highly recommended against it in the early stages of the film. I absolutely recommended that they not include Cable in the origin story of Deadpool because it wasn’t necessary. That was on the table of things that were being considered, and I felt like, ‘No, no, no.’ Deadpool is a good enough character. He can carry his own movie and doesn’t need Cable. Similarly, it’s a mistake I believe that Batman v Superman made. They tried to do too many things at once and tell too many stories. Where Deadpool came out, [it] gave you this story, and I think they are somewhat following what I’m referencing as the Marvel strategy. Maybe the next movie -- Iron Man 2 gave us Black Widow, and started building. And Cap 2 gave us Black Widow, Falcon, and Winter Soldier, you know? I believe that the fact that we’ve got the opportunity to build now on what Deadpool… OK, this is corny, they can build on the cable they laid with Deadpool, in the first movie, you know? Those are strong tracks, and so now they continue to build out on that. As a big fan of both Deadpool the character and Deadpool the movie, it’s tremendously hard to argue with Rob Liefeld here. Part of what made the film work so well is the fact that it kept things tight and focused on the main players, and throwing a character as complex as Cable would have been distracting and thrown the entire thing off-kilter. Now that audiences know what Deadpool is all about, the sequel can throw Cable into the mix and really have some fun. Deadpool 2 is still in the early stages of development and doesn’t have a release date, so you’ll have to stay tuned for more information on that front. That being said, Deadpool arrived on Blu-ray and DVD earlier this month, so now you can watch it as many times as you want.